The decorated models that inspired so many to purchase a home at Tamaya are now available for sale. ICI Homes is selling eight luxury models located on the community’s existing model row as it nears close out of Phase I at Tamaya. The models are available for prospective homebuyers to view, are for sale furnished or unfurnished, and include numerous upgrades and decorator appointments not typically found in standard new home construction. 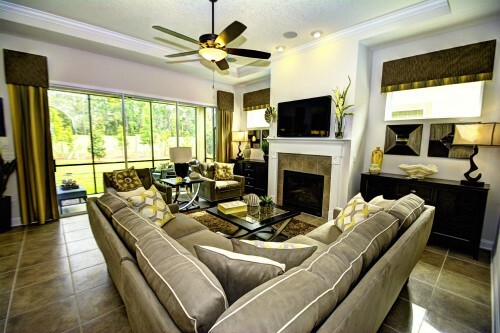 The best part – ICI Homes is offering delayed closing options or a lease-back option on these model homes. The company will pay homebuyers to lease the home back so ICI Homes can continue to use the home as a model until April 2017. ICI Homes is currently building a new model row in the community’s second phase. Located in Tamaya’s Bella Nika neighborhood, the new model row will feature six furnished and decorated model homes when it opens in 2017. 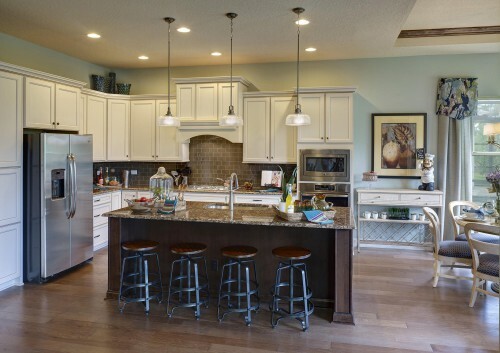 The neighborhood is where the company recently opened a new model showcasing the best-selling Serena plan. Offering four bedrooms and a home office, the Serena features open spaces that connect the kitchen, dining, entertainment and outdoor living areas together for family living and entertaining. The home is decorated by Sisler Johnston Interior Design and showcases a relaxed contemporary style with a cool neutral color palette highlighted by emerald green and topaz accents. The Serena is one of the many plans available in Tamaya’s Bella Nika neighborhood, offering the community’s upscale architectural design style in a variety of home site sizes. 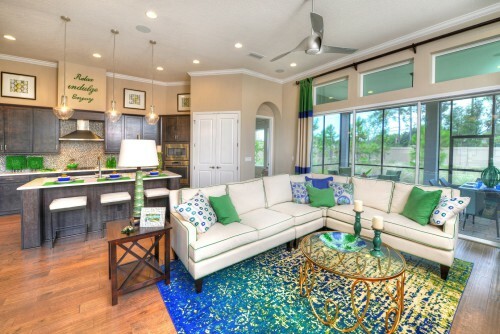 ICI Homes’ award-winning, customizable floor plans in Bella Nika start at 1,800 square feet of living space. The new neighborhood offers 50-foot-wide, 60-foot-wide, 75-foot-wide and 85-foot-wide home sites. Homes at Tamaya range in size from 1,800 square feet to 6,000 square feet and range in price from the $300,000s to $800,000s. For buyers seeking a shorter wait time to move-in, Tamaya has three inventory homes available for quick move-in. 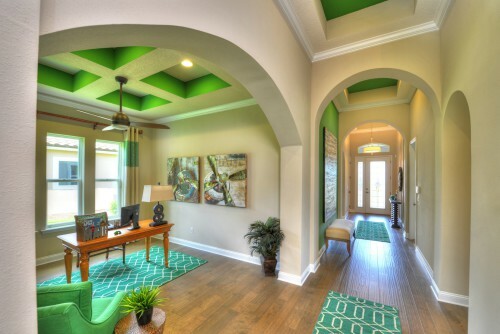 With more than 160 sales, more and more families are calling the community home. As Tamaya continues to grow, the master-planned community is nearly ready to unveil its new grand entrance fronting Beach Boulevard and its Residents Club. The lush landscaping and impressive water features surrounding Tamaya’s new grand entrance will create a lasting impression and warm welcome to the community. The road to Tamaya leads to a two-story gatehouse that residents and guests will pass through to enter the neighborhoods. The new entrance will be the gateway to the Tamaya lifestyle, which includes beautiful parks, meandering walking trails, gorgeous homes and amenities. Designed exclusively for homeowners, the $11 Million Residents Club will be the community gathering place for entertainment and social get-togethers as well as a center for fitness, wellness and relaxation. The Residents Club will feature a resort-style pool and outdoor recreation areas, including tennis and an event lawn. The clubhouse spans 10,000 square feet and contains nearly 4,500 square feet of interior fitness space including an expansive cardio room with state-of-the-art fitness equipment and a separate yoga and pilates studio. The Residents Club will offer numerous entertainment spaces including a spacious great room with a catering kitchen, a clubroom, a covered porch and an outdoor patio. To enhance the Tamaya lifestyle, the community will soon welcome a lifestyle coordinator, who will play a key role in connecting residents with their neighbors and all the community has to offer. The coordinator will plan events and activities for residents of all ages to enjoy. Tamaya is located off Beach Boulevard, midway between Kernan and Hodges boulevards in Jacksonville. Tamaya residents enjoy quick access to the Jacksonville area’s corporate, medical, retail and entertainment centers. The community is just six miles to the beach and within minutes to Mayo Clinic Jacksonville. I want to make sure that I get a good home. I didn’t even think about getting one that’s already been furnished and decorated! That would save me a lot of work.